Francesco Cecioni's parents were Olderigo Cecioni, a shoemaker, and Isolina Cantinelli. There were two children in the family, Francesco (the subject of this biography) and his brother Giovanni. The family, who probably originated in Florence, were poor. Francesco's mother died when he was young which meant that the children had an even harder upbringing. Francesco received a classical humanist education attending the Liceo Classico in Livorno despite his father wanting him to leave school and take up a job in the Municipality of Livorno. Cecioni won a place to study at the Scuola Normale Superiore in Pisa where he came under the influence of Luigi Bianchi. From Bianchi he not only learnt much about mathematical research but he also learnt teaching skills that he would continue to develop for the rest of his career. He graduated from the Scuola Normale Superiore in Pisa with his laurea on 15 December 1905. His thesis Teoria della rappresentazione conforme delle aree piane pluriconnesse Ⓣ (1905) became the basis for his first publication, Sulla rappresentazione conforme delle aree piane pluriconnesse su un piano in cui siano eseguiti dei tagli paralleli Ⓣ (1908). For a list of many of Cecioni's publications, see THIS LINK. After graduating, in 1907 Cecioni was employed as an assistant in algebra and analytical geometry at the University of Pisa. He returned to his home town in 1910 and, in that year, he began teaching at the Istituto Nautico in Livorno. His career was interrupted by World War I which Italy entered in May 1915. Italy had remained neutral when war broke out in August 1914 and began to negotiate with both sides to see which would offer the most for their support. Eventually in April 1915, at the Treaty of London, Italy joined France, Britain and Russia and one month later began military advances towards Austria-Hungary. Cecioni became an infantry officer and for most of the war he fought on the Austrian front taking part in the fierce fighting which took place. After World War I ended in 1918, Cecioni was able to return to his position at the Istituto Nautico in Livorno. He had published six papers before the outbreak of war and, not surprisingly, had published nothing during the war years. His first paper to appear after he began teaching again after the war was Sopra una relazione fra certe forme differenziali quadratiche e le algebre commutative Ⓣ (1921). Cecioni did not continued teaching at the Istituto Nautico for long since he became Professor of Mathematics at the Naval Academy of Livorno. In 1925 he entered the competition for the chair of Algebraic and Infinitesimal Mathematical Analysis at the University of Pisa. He was declared the winner of the competition and took up the chair in Pisa in 1926. There he became a colleague of Luigi Bianchi, Eugenio Bertini and Onorato Nicoletti. Onorato Nicoletti was an expert in the theory of Hermitian forms who had taken over Ulisse Dini's courses on infinitesimal calculus after Dini's death in 1918. Cecioni did not give up his position at the Naval Academy when appointed to the chair at the University but continued to hold both positions until 1942 when he left his role at the Academy. Many classes of students still remember the Maestro with moving gratitude for the admirable didactic efficacy of his lectures, which were a model of clarity, in which the most hidden concepts and the most abstruse subjects were examined in depth and presented by him with a simplicity and elegance that captivated and thrilled. But they remember him, with affectionate admiration, also for the luminous example of scrupulous dedication to duty and of the profound spirit of sacrifice that he gave them for over fifty years. A master of life, nobody failed to take his precious advice; he helped everyone with detached disinterest; he was paternal and understanding, simple, patient, humble, generously charitable, particularly with the young. Shy from the clamour, he lived, secluded, in evangelical simplicity. He was of exceptional modesty; he always put others before himself and never took pride in his successes. He was silent on the faults of others; instead he exalted their merits and virtues. Absolutely alien to all forms of envy and acrimony; he always rejoiced in the scientific merits of his colleagues and his students. He never solicited the acknowledgments, which he deserved, as a teacher, as a scientist or as a man. The next few paragraphs discuss Cecioni's mathematical contributions as given in , following Andrea Mariani's translation . His works, from those of his youth on conformal mappings to his last great work, of which he had just completed the first volume, on the foundations of mathematics, represent a major contribution from the critical point of view, and one that is characterised by a profound scientific and moral rigour. They can be grouped thus: memoirs on conformal mappings and on real algebraic curves (1908-1935); memoirs on the theory of matrices (1908-1930); memoirs on some algebraic theories (1921-1924); lecture courses on mathematical analysis and the foundations of geometry. His first papers appeared in the Annali di matematica pura ed applicata Ⓣ. In 1936 he published, in Pavia, in the Scritti matematici offerti a L Berzolari Ⓣ (pages 487-509), the note Su alcune diseguaglianze fra sistemi di moduli trascendenti di curve algebraiche presentanti il caso di Harnack Ⓣ. Worthy of particular mention for its power of synthesis is his laurea thesis: Sopra alcune operazioni algebraiche sulle matrici Ⓣ (published in Annali della R. Scuola normale di Pisa Ⓣ, XI (1909), 140 pages), which was also mentioned in 1958 when he was awarded the gold medal. Already in the introduction one can note a certain rigour which is not common in the presentation of the material, but that nevertheless does not inhibit clarity and accessibility. Getting inspiration from the important notion of the product of matrices, after recalling the concept of a conjugate transpose matrix, with frequent citations to Frobenius, he translates the theorems of matrix theory to concepts and theorems in the theory of linear substitutions and of bilinear forms. Cecioni then moves on to recall the definition of the "row-column" product, its algebraic properties, the concept of permutable matrices, that of the exponent of a square matrix M, the notions of diagonal and unit matrices, the notion of matrix sum and difference, of a zero matrix and, in particular, of a linear function of a matrix (variable) X. 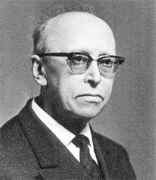 He then cites Leopold Kronecker to recall the definition of a reciprocal matrix and quotient. He then defines what is to be understood as a rational integer function of matrices and recalls that these particular functions cannot be reduced to the same form as their analogues for numbers since the commutative property of matrix products does not hold in general. With regard to the more general linear equations with a matrix unknown, the author recalls the works of James Joseph Sylvester. In these works, a method according to which it is possible to rationally determine the solution of any linear equation in an unknown matrix, in the case where this equation has only one solution, is described. But this method leads to extremely lengthy calculations. In the first and second chapters of his work, Cecioni discusses some particular linear equations between matrices, but he does this more generally by discussing the conditions of solubility and all of the possible solutions. In the first chapter he also touches upon those equations in which the unknown matrix is multiplied by the known matrix always on one side; moreover, he determines, as an example, the conditions of solubility of axb = c. In the second chapter he considers, among other things the particularly remarkable equation ax = xb. Lastly, in the third chapter he talks about the simplest equation of higher degree, that is xm = a, and tackles the problem of determining the mth root of a matrix and then that of a linear substitution. Cecioni's contribution to the didactics of elementary mathematics, as well as to the detailed study of that same elementary mathematics and of its foundations, is also remarkable. Concerning this, we recall the following works: Corso di matematiche complementary Ⓣ, Pisa 1939; Aritmetica pratica per la I e II classe della scuola media Ⓣ, Rome 1941; Nozione di algebra per la III classe della scuola media Ⓣ, Rome 1942; Principî di geometria Ⓣ, hand-outs for the academic year 1947-48 of the University of Pisa; Lezioni sui fondamenti della matematica, premesse e questioni generali Ⓣ, Padova 1958. There is also another work to recall that appeared in the Annali di matematica pura ed applicata Ⓣ (XLVIII (1959), pages 341-351 and LI (1960), pages 10-38), with the title: Qualche osservazione sulle antinomie ed in particolare su quella di Burali-Forti Ⓣ. On the theory of divisibility, Cecioni wrote the article Alcune osservazioni sulla teoria della divisibilità Ⓣ (published in Boll. Dell'Unione matem. Ital. Ⓣ, historical-didactics section, X (1955), 3, pages 382-400). 4. his ideas as to the relations between mathematics and symbolic logic. We are sure the reader will find stimulating and original points of views in Cecioni's conceptions, although, perhaps, he will not agree with the whole of Cecioni's view. Let us return to Cecioni's career. He held his professorship at Pisa from 1926 until 1955. During these years he was for a long time President of the Faculty of Science and Director of the Mathematical Institute "Leonida Tonelli". In addition to his teaching he added the role of public administrator when, in 1946, he was elected to the Livorno Community Council as a member of the Democrazia Cristiana party. He was particularly motivated to see Livorno recover from the damage inflicted during the war years with restoration work. He continued to serve Livorno in this capacity until 1954. The above quote gives details of the contents of  concerning Cecioni's book Lezioni sui fondamenti della matematica Ⓣ published in 1958. In fact this was the first volume of a major work which Cecioni was not able to complete due to deteriorating health and his death in 1968. Today there is only one way to remember such a master: the memory of the luminous example of a life lived in an exemplary way: I remember him as one of those fortunate enough to know him and be close to him and for me he will always remain active, alive, current, and imperishable.